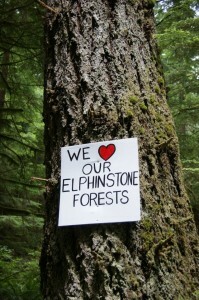 Elphinstone Logging Focus (ELF) has received a West Coast Environment Law grant to engage the services of a lawyer in an attempt to stop a BC Timber Sales Block A9334 (Clack Creek Forest) from proceeding to be sold later this month. The forest is within the area of the long-standing Mt. 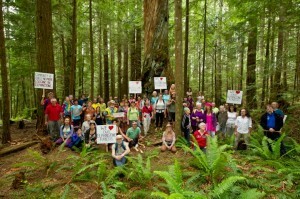 Elphinstone Park expansion proposal and provides critical connectivity between 2 of the 3 small protected islands of forest. 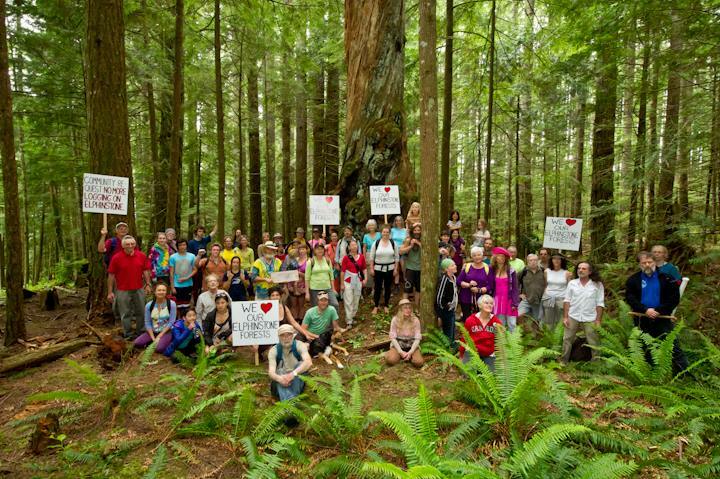 As of today (April 23rd), ELF has filed a petition in the Supreme Court of British Columbia seeking a judicial review of BC Timber Sales’ decision to list Block A93884 for sale. 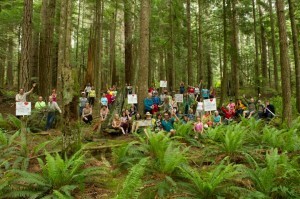 Supporting documents include the Sunshine Coast Regional District’s Roberts Creek Official Community Plan supporting park expansion, a 2018 Forest Practices Board investigation that recommends protecting rare plant communities found in this forest, and a 2018 ecological assessment (Banner Consulting) that favors setting aside this area, amongst others. “The Clack Creek Forest falls within the area that government and the shíshálh Nation have agreed to study in an upcoming Modern Land Use Planning (MLUP) initiative. 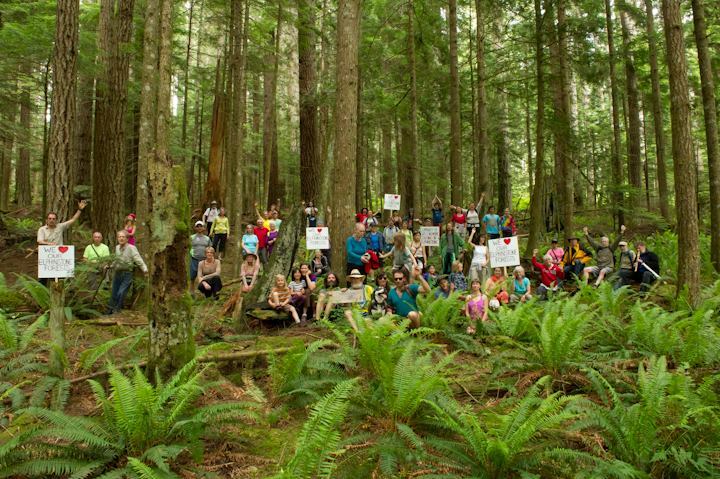 Our position is that approving the sale of this critical forest while land use planning is underway is unreasonable and puts this important ecosystem at risk,” states Ross Muirhead, a forest campaigner with ELF. 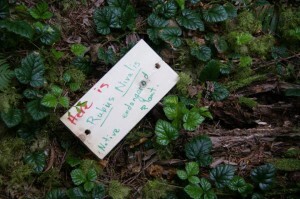 ‘The Clack Creek Gallery Forest’, is an intact forest, on the lower Mt Elphinstone slopes showing old-growth characteristics. Step-pool streams create ideal amphibian habitat. There’s evidence of elk, deer and bear. Huge dead-standing trees are slowly creating the next soil layer. Now the bad news: this forest is a BC Timber Sales (BCTS) TSL A87126 Cutblock now surveyed for clear-cut logging. 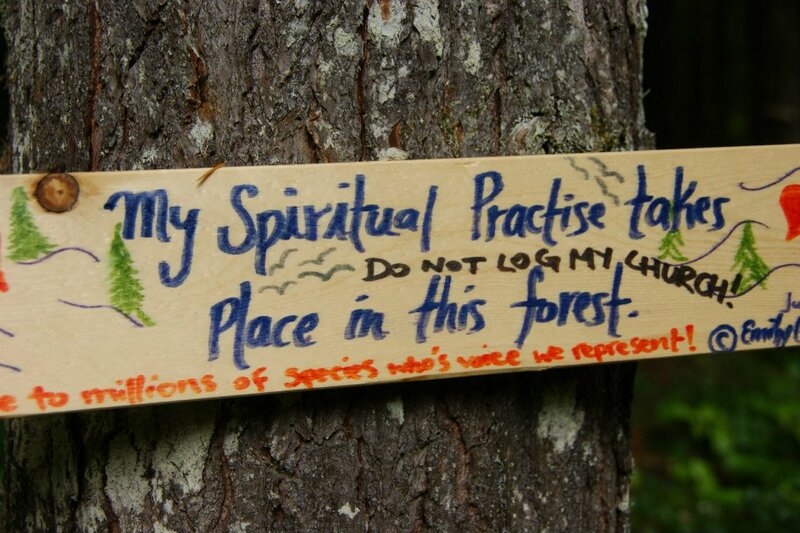 Logging will do irreparable damage to the many other recorded values in place. 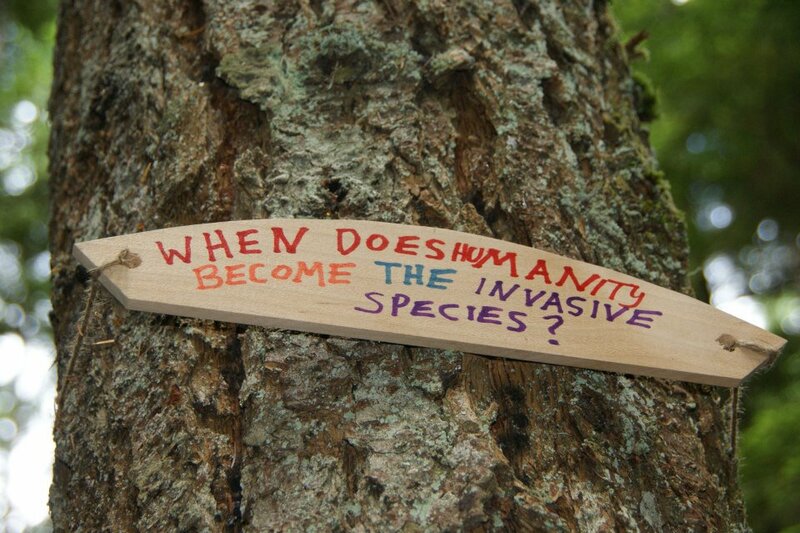 Since the 1990’s, ‘Creekers’ have been asking for wider forest protection across the low elevation Elphinstone slopes. What have we gotten? 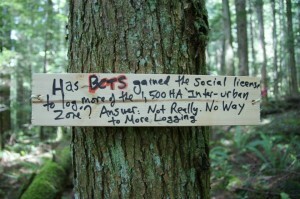 An inadequate 139Ha Provincial park out of a 1,500Ha zone. What do we continue to see? More intact, older forests logged out. 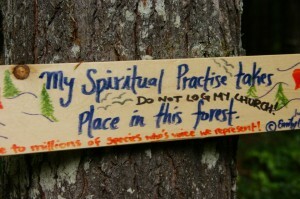 Its time for us Sunshine Coast residents to demand a little more, before this rare ecosystem is fragmented to pieces.